This is why: They were all so cool. Local independent musician Clint Mann says of oversized glasses, “They make you look like really cute, they make you look like you don’t care what people think, plus they make you look super indie like Ben Folds and he’s indie as crap. LOL." Follow these 12 easy steps and you are on your way to becoming the coolest cat on the block! DISCLAIMER: being indie is rejecting the cultural norm, or doing what is expected, it is a frame of mind, so actually following these steps will NOT make you indie. ·Things that are exact opposite of indie: fall out boy, sports, listening to the radio, mainstream, The Gap, etc…. The truth is we all have something cool to offer this world because"we are God’s handiwork, created in Christ Jesus to do good works..." Eph. 2:10- our value is not in what music we listen to or how vintage our clothes are, we are all knit together by the Lord of the universe, and that is significant. "Ben Folds - Way to Normal." Exclaim! Canada's Music Authority. Web. 14 Nov. 2010. 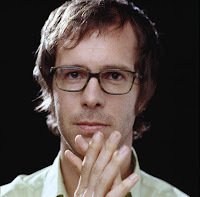 <http://exclaim.ca/Reviews/PopAndRock/ben_folds-way_to_normal/>. "Urban Dictionary: Hipster." Urban Dictionary, November 14: Bacontarian. Web. 14 Nov. 2010. <http://www.urbandictionary.com/define.php?term=hipster>. I need to clean my room. You and I have a mess to clean up. Ironically, the first time I choose to blog about something, what comes to mind is [silence.] How much of what I say is ultimately unnecessary? My good friend Anna[check out her blog > http://elleanarhythm.blogspot.com/] always knows how to gently provide sound advice that makes me think for weeks, sometimes years (its that good). This time she was directing me towards prayer, and she left me with the words of Mother Teresa- The fruit of prayer is often silence. How often do I let my many words reflect who I am instead of my actions? This is me, I can talk all day in Bible studies, Young Life clubs, or at church about how I need to be living a life as a child of the light, but it means nothing if I don’t do it. If I am going to make great boasts with my words then an action needs to accompany it. I must first let the Lord's love consume my thoughts instead of the worries of this world in order to act on His promise of everlasting love. I can confidently take steps towards this because of 1 John 4" Dear friends let us love one another because love comes from God......God is love. Whoever lives in love lives in God, and God in him.... We love because he first loved us." Lets just do it. Lets act out in faith and live a life of love, just as Christ loved us. Let His eternal love flood our mind. And this is my suite mate Lindsay Ragole.... She actually needs to clean her room.